ANUPGCET Application Form 2019 is now available at ANU official website. 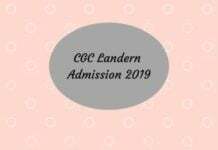 Eligible Candidates can apply online for admission into various Courses for the academic year 2019-20. The last date for submission of ANUPGCET Application Form 2019 without late fee is April 20, 2019. 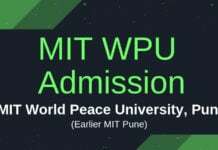 Candidates who are interested for admission must appear for ANU PGCET 2019 entrance test. The ANU PGCET 2019 is going to held on May 01 to 03, 2019. 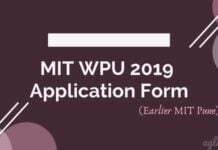 Candidates can check necessary details of ANU PGCET Application Form 2019 like how to fill the application form, fee and other details on this page. 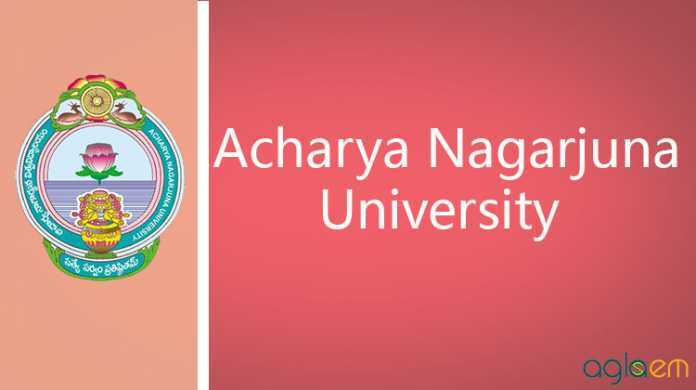 After applying, candidates can download hall ticket of ANU PGCET 2019 from April 29, 2019. Latest: The application form of ANUPGCET 2019 is available now. Scroll down to fill the same. ANUPGCET Application Form 2019 is now available at the official website as per the schedule is given in the table. Interested candidates are requested to ensure the eligibility criteria before applying for ANUPGCET 2019. Candidates can also fill the online application form through the direct link, which is provided below the schedule table. Apply Online: Interested candidates can fill the application form from the given links. Click Here for new registration of ANUPGCET 2019. Click Here for application fee payment. Click here for print out the application form of ANUPGCET 2019. Cost of Application form without fee for the general category is Rs.600/- and for SC / ST / PHC Rs. 500/-. Click on the link appearing as Click here to register for ANUPGCET – 2019 Online Application. During entering the personal details, please give your correct MOBILE number and EMAIL address, because all the correspondence from Admission Authority (DOA) will be made to Mobile and Email only, No postal correspondence will be made under any circumstances. After completion of registration details entry, your Mobile will receive SMS of a Security Code, please type the Security Code in the box provided in the Registration Form and immediately your screen will display a message as “VERIFIED” in green colour. Fill the entire Academic, Study, Reservation and other Personal Details and submit the application. There it gives two buttons one for “Back-To-Edit” for Editing any mistakes done by you, Save and Print for continuing the application. Now it generates the Acknowledgement Receipt, Take the printout and pay the fee by online using SBI Collect. After payment of a fee in the bank, you will get a mail with all the details submitted by online as a PDF file. You have to take a printout of the same and retain the same until the completion of admission. ANUPGCET – 2019 Information brochure and guidelines. Your documents pertaining to your personal details and academic records. Softcopy of scanned passport photo and your signature. Click on Online Payment button. Now click on Online Payment through SBI Collect button. Read the instructions and click the checkbox to proceed payment and click the proceed button. Now your mobile will receive a message “Your ANUPGCET – 2019 application is submitted successfully with Application No: XXXXX with Payment Ref.Id : XXXXXXXX”. If you want to pay by challan, you have to take a printed copy of the challan and pay the application fee at any branch of SBI. After payment of Challan, the applicant has to wait for one working day for getting your application successfully registered after which you will receive an application to your registered email. If you select the ONLINE PAYMENT and after a successful payment is done using a Debit/Credit card/Net Banking process. You will get an SMS to your registered mobile number and also get an email to your registered email id with complete application details as PDF file. Please do not send the printed copy of the application to the DOA. Yow preserves it until your admission process is completed. You can get a printed copy of the application at any time using your Application No as ID and Date of Birth as Password using “Print Application” option.